This year, I celebrate my 15th year with the Eat’n Park Hospitality Group. I’ve had the opportunity to work on some really exciting projects and events and this year so far has been no different! 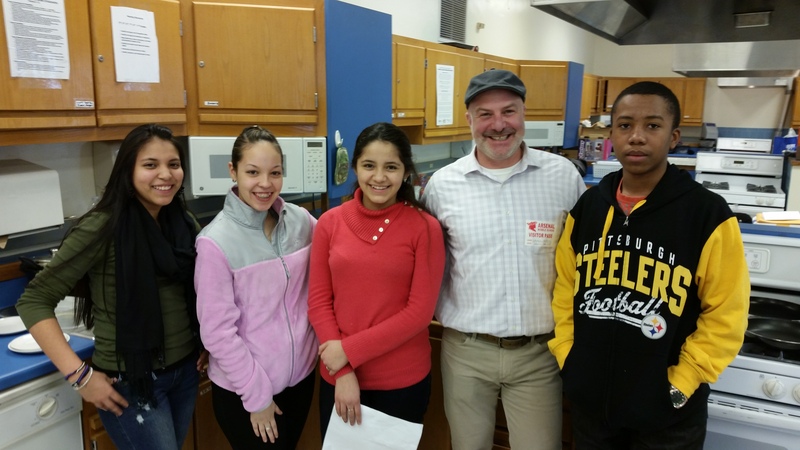 I was recently contacted by the Community Kitchen Pittsburgh to volunteer for a cooking event called “Project Lunch Tray.” The event lets select groups of students from schools around the Pittsburgh area compete against each other to prepare lunch items that are healthier alternatives to their current lunch offering. Each group of students was paired up with a community member to help them prepare the lunch. I had the pleasure to assist Arsenal Middle School students Thomas Williams (8th), Catarin Magallon (7th), Karen Juarez (7th) and Karina Alvarado Salgado (8th) in the preparation of their meal items. Although I came ready with 12 recipe ideas, none of students selected them. Instead, they were passionate about creating simple dishes that incorporated their favorite healthy foods. They showed enthusiasm for what they wanted to have offered in their school. After discussing, we came up with 2 main courses and 2 sides we wanted to prepare: Beef quesadillas, Butternut Squash quesadillas, Black Beans and rice, and Quinoa with pumpkin and black beans. On the morning of March 7th, I met with the students at the Pittsburgh Public Market in the Strip District where we prepared our meals. The event was timed and, as to be expected when cooking several meal items, we had a few challenges with getting our dishes complete in the allotted time. But, we all had a great time and I thoroughly enjoyed working with these very talented students. The winners of the competition was a group of students from Propel Braddock Hills High School. 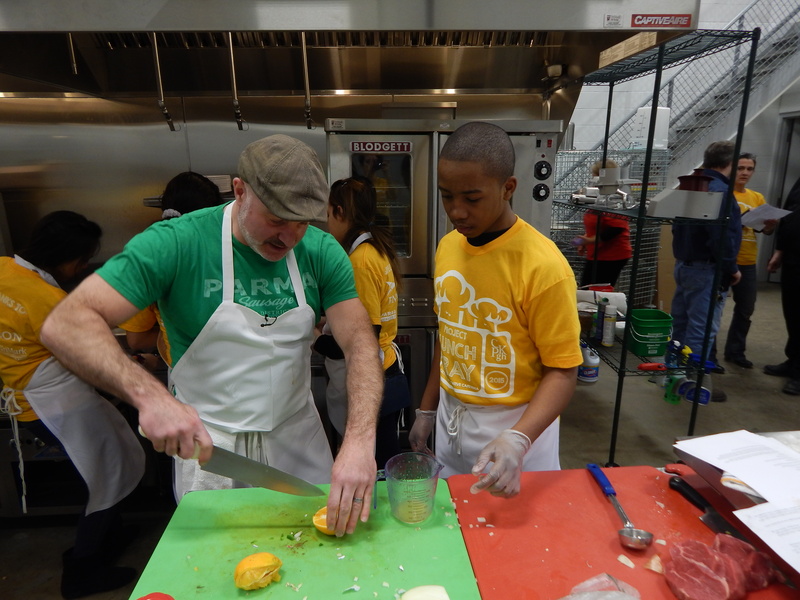 All in all, the event was a huge success in getting students engaged with cooking healthy meals. The teams worked very hard and did a fantastic job.